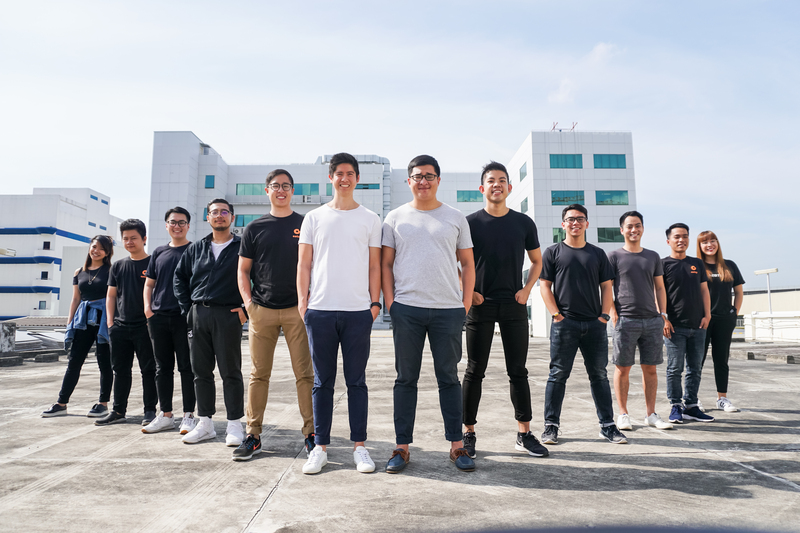 SINGAPORE, 15 JANUARY 2019 - Eatsy, a mobile app that allows time-starved diners to order-ahead, pay, and pick-up their orders at their favorite local eateries and coffee shops, announced earlier today that it has secured $550k in additional seed fund led by East Ventures. Participating in the round are several prominent angel investors including Goh Yiping, who used to run MatahariMall and AllDealsAsia. The investment will accelerate Eatsy’s mission to make mobile ordering and payment the new way of life when dining out. In 2017, they were one of the first few companies to be backed by Enterprise Singapore under the Startup SG Founder grant. Till date, the company has raised more than $1 million in funding from South East Asian top venture capitalists, East Ventures and Quest Ventures, as well as, high profile angel investors including Wee Teng Wen (Lo&Behold) and all three co-founders of RedMart. “With the access to new capital, we look forward to further development in technology, product expansion, and acquisition of new talents in 2019. Furthermore, Eatsy plans to cement its position as a leader in the mobile order-ahead and pick-up space in Singapore” said Shaun Heng, Co-Founder, and CEO of Eatsy. Shaun founded Eatsy with the mission to empower more SMEs in the F&B industry to gain a competitive edge by leveraging on existing technology infrastructure and leapfrog the ordering and payment challenges faced by many of these SMEs. “Standing in a queue and waiting - waiting for your turn to order, for the waitstaff to take the order and collect payment, for food to be prepared and served - gets in the way of the rest of the day. Since Singaporeans are not exactly known for time off, they want to get as much done with what they have got, and mobile order-ahead apps like ours help diners save more time for more important things in life. Through our platform, customers can save their time by placing their order from our 200+ merchants before they are on-site, pay, and pick it up within the stipulated timing”, said Shaun. He further explained how the company also saw how mobile order-ahead apps are gaining grounds in the rest of the world - around 13 percent of Starbucks transactions in the US are made with mobile order-ahead and payment options; GrubHub picked up LevelUp in a $390 million deal, whereas order-ahead app, Ritual recently raised $70 million to consolidate their position in the West. “What F&B merchants are seeing right now are the same challenges retailers saw 10 years ago. What does it mean to become omnichannel? How do you deal with the new source of demand from walk-in orders plus digital orders?” Shaun said. Over time, these retailers adapted to these challenges and begun leveraging on online data to help them make better and smarter decisions around pricing and order fulfillment. Merchants on Eatsy’s platform experience are already seeing higher repeat customer visits and better bottom line as repeat customers tend to spend more and transact more frequently. Additionally, the streamlined checkout process enables merchants to process more customers than the normal order and checkout lanes in-store. “One of our merchant, Bakery Cuisine, had to add more waffle machines to cope with the additional demand of waffle orders via the Eatsy platform”, Shaun said. Moreover, the SME Go Digital Programme that was implemented in Singapore last year has been seen to boost more awareness and willingness to experiment with various digital solutions for the F&B industry. Eatsy hopes to empower more SMEs in the F&B industry to gain a competitive and technological edge with our unique ordering and payment platform. This is also in alignment with Prime Minister Lee Hsien Loong’s longstanding call to “go cashless” at a national level. It’s a safe bet that mobile order-ahead will continue gaining ground; customers want it for the convenience, and businesses that use it early on will start seeing the value first-hand. Eatsy is an app platform that allows diners to order-ahead and pay at their favourite local eateries and coffee shops, such that their orders are ready to pick up when they arrive. The app allows diners to save time at hundreds of breakfast, lunch, coffee and dinner places in Singapore. The best and busiest quick service restaurants and coffee shops in Singapore are using Eatsy to give them a competitive and technological edge to drive up profitability, and also to provide a more personalized way to connect with their customers. East Ventures is an early stage venture fund focused on Southeast Asia and Japan. Over several years, East Ventures has invested in hundreds of companies in Indonesia, Singapore, Japan, Malaysia, and Thailand. The majority of East Ventures’ portfolio firms have been able to raise follow-on financing rounds.